Lucy’s Lookbook is designed to showcase some of our newest looks. 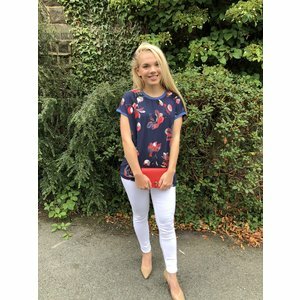 In store we love styling our ladies in our latest collections and we will use this section to show you, our online customers, some great styling ideas. 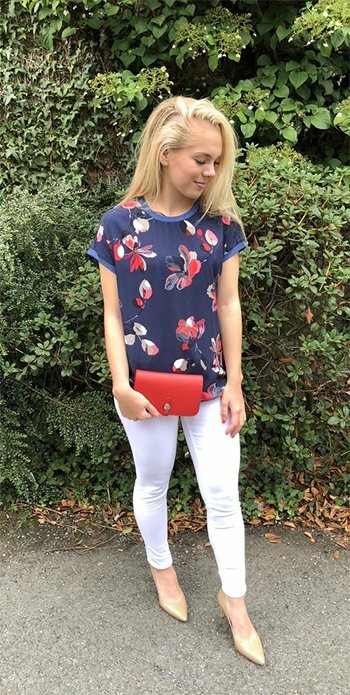 The perfect transition tee from Fransa. Styled with white jeans for a summer look or team with dark indigo jeans when the weather turns cooler. Available in three colours. 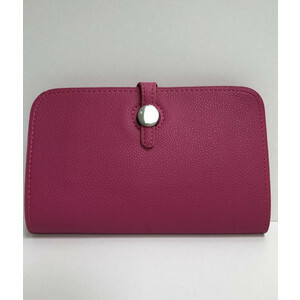 Travel wallet with purse comes in a variety of seasonal colours. 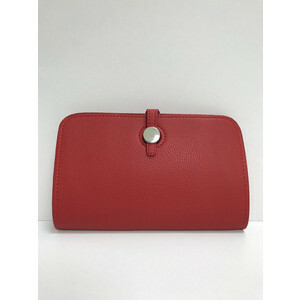 Ideal for anyone going on holiday or simply used as a purse or small clutch bag. From the new autumn collection from Fransa, this light weight jumper gives the effect of layering without the bulk. An ideal piece for the new season.